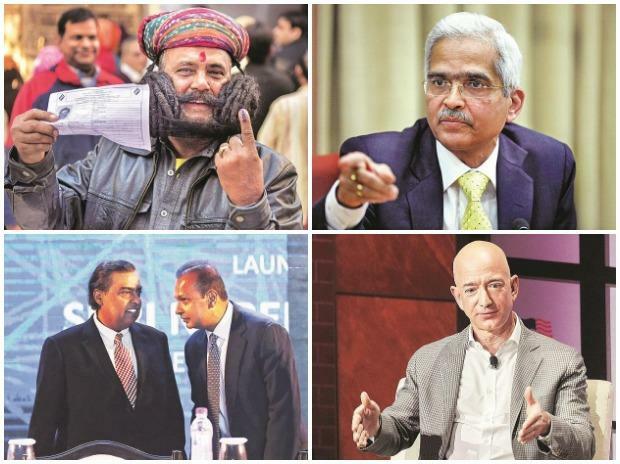 A fractured mandate from voters in the national elections next year will be the biggest risk for India Inc, according to most chief executive officers (CEOs). Of the 40 CEOs polled from across the country, 60 per cent identified this as a bigger risk than trade wars, volatile oil prices, and inflation. The bad assets problem of the banking sector in the country is receding for the first time since 2015, according to the bi-annual financial stability report (FSR) for December, published by the Reserve Bank of India (RBI) on Monday. But, the non-performing assets (NPAs) are still too high for comfort. The growth rate in the eight core sectors of the economy fell to a 16-month low of 3.5 per cent in November, after it hit a three-month high of 4.8 per cent in October. Reliance Communications and Reliance Jio Infocomm on Monday said they had extended the validity of the asset-sale agreement to June 28. The markets may be tanking, but that hasn't stopped plenty of mega-fortunes from being unearthed in 2018.